I used to carry my eldest daughter everywhere in her sling. We would go for long walks together and she would spend all day with me. I loved carrying her and loved my sling. My youngest daughter was less keen on the sling and I could only use it on rare occasions. 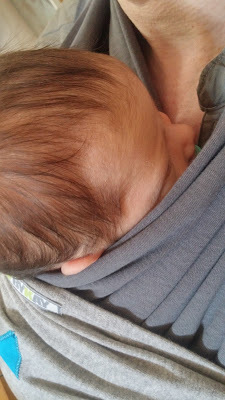 Thing 3 however seems to really enjoy the closeness and wants to be picked up and held close to your chest. I love to hold him but I also have to be able to look after the girls. I have been searching for a sling for Thing 3. 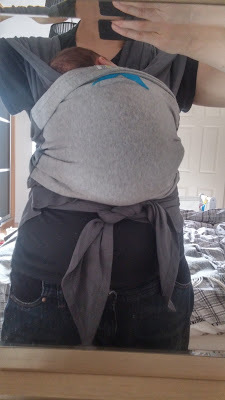 The problem I had is with the 3 slings and carriers I currently own, Thing 3 is too small for them. When I put him in them he becomes covered and it is just not safe, so I needed an alternative. He is only 49cm in length even though he was born at term and still fits in newborn clothes. [0-3 months swamp him]. At a recent event I met ByKay who provided me with a sling for Thing 3. I had never tried a stretchy wrap before and will admit to feeling a little apprehensive when I saw the length of material in front of me. I watched YouTube videos and learnt how to tie the wrap. To be honest it is really easy to do but I wanted to make sure I had got it right so even went to a local sling group to check the fitting. The ByKay wrap is very stretchy and both my husband and I can wear it. The material is soft and easy to wear. Baby seems to be very comfortable in it. I have full use of both arms which means I can play with the girls and Thing 3 is fully supported. 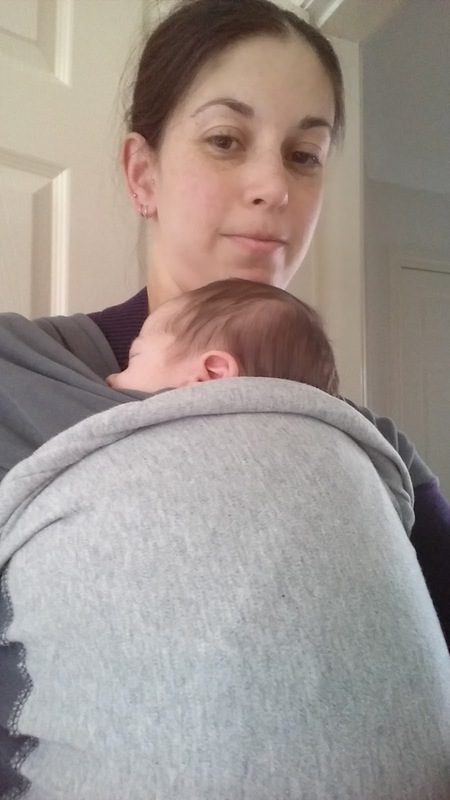 I can wear the wrap without baby in it as it is really comfortable and then when I need to I simply put Thing 3 in. There is no waiting around as everything is ready. 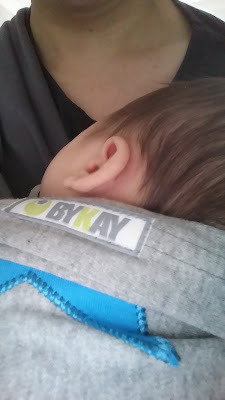 Thank you to ByKay for providing a solution and allowing me to carry Thing 3. Words in this post are my own personal opinion.